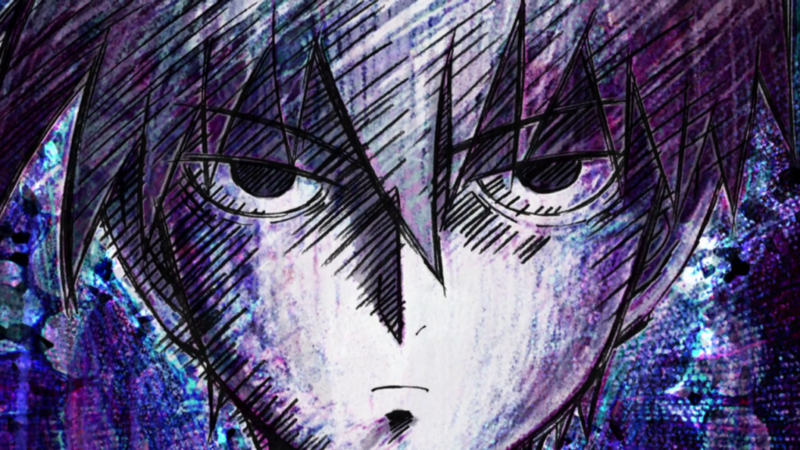 Mob Psycho’s current arc continues to focus more on a character journey over action setpieces, and the anime adaptation pulls it off just fine. Episode 7 breaks the trend of odd episodes being the notoriously sakuga highlights. Similarly to last week, the show keeps relying on its directional muscle while saving resources for the upcoming action packed outings. And considering how fast paced this episode was, the staff are clearly anxious to get to those big payoffs! 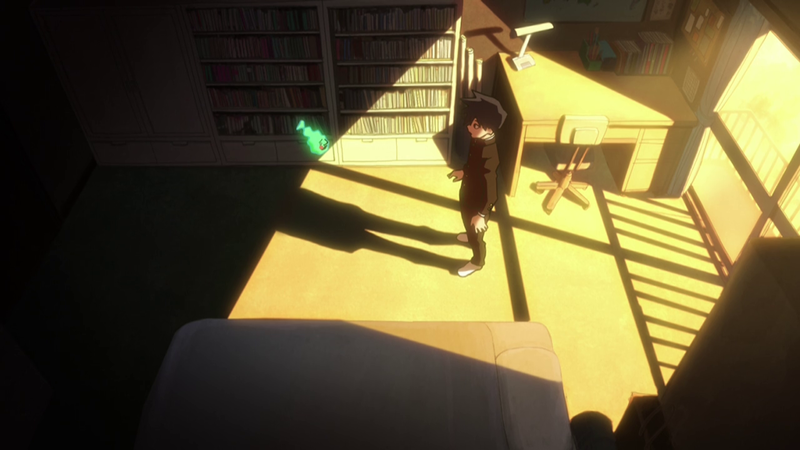 It’s not the most elegant solution, but that’s one of the inherent issues of TV anime adaptations – when working with existing arcs and limited by fixed format, there are some sacrifices that must be made. This arc will have less breathing time than it would ideally need, and likely less than the staff would have given it if it were within a movie. Lesser structural issues that won’t be the end of the world. This week’s director was Takashi Kawabata whom I’m personally not familiar with. He seems to be particularly affiliated with studio SHAFT, and also has ties to Dogakobo where he directed Hidan no Aria AA last year, but hadn’t worked with BONES before. His output was basically on the same level as Anzai’s work last week, which increases my suspicions about director Tachikawa heavily correcting everyone’s boards. He certainly seems to be ruling the show’s tone and visual voice with an iron fist, and that’s a fantastic thing when we’re talking about such a talented individual. 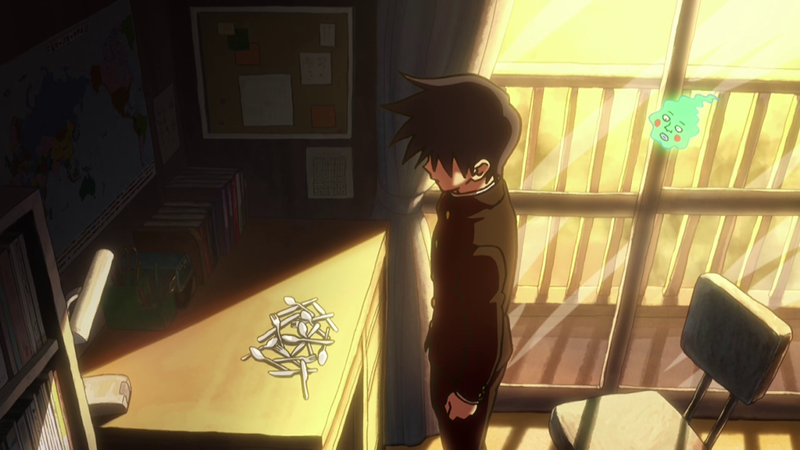 This episode’s most striking moments, just like last week, were focused on Ritsu – contrasting with and joining the shadows, more rough linework, getting rid of color altogether and making the remaining alien elements stand out. As you may have noticed, this episode had a higher number of animation directors than usual. As every show progresses, production schedules traditionally get tighter; all delays, no matter how small, eventually pile up and can cause issues down the line. 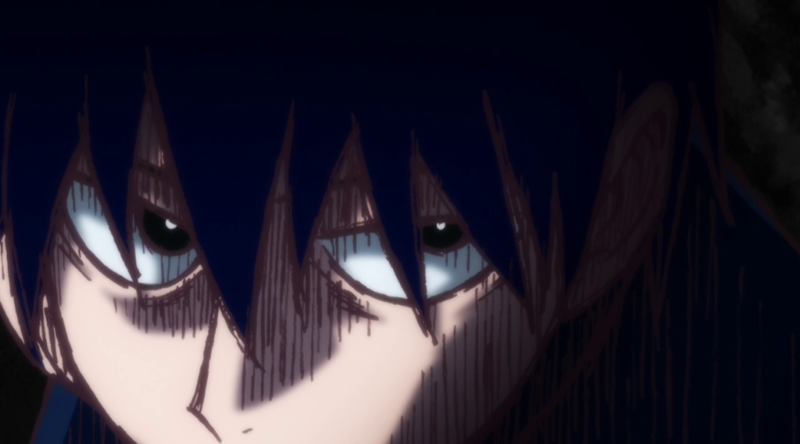 That said, Mob Psycho is without a doubt a rather well planned project, and judging by Ayumi Yamada’s tweet, the majority of this episode was probably handled by Eiko Saito. If I were to guess, Yamada herself was in charge of the vase incident as the drawings there resembled her work on episode 2. Saito on the other hand is a BONES regular who mainly collaborates with C Studio projects like Concrete Revolutio, so it was a bit surprising to see her here. Another animator whose input in this episode was very clear was the assistant animator director Gosei Oda, who handled the overall animation direction on episode 3. His style was extremely easy to spot as he was mainly responsible for the scarce action bits in the episode. 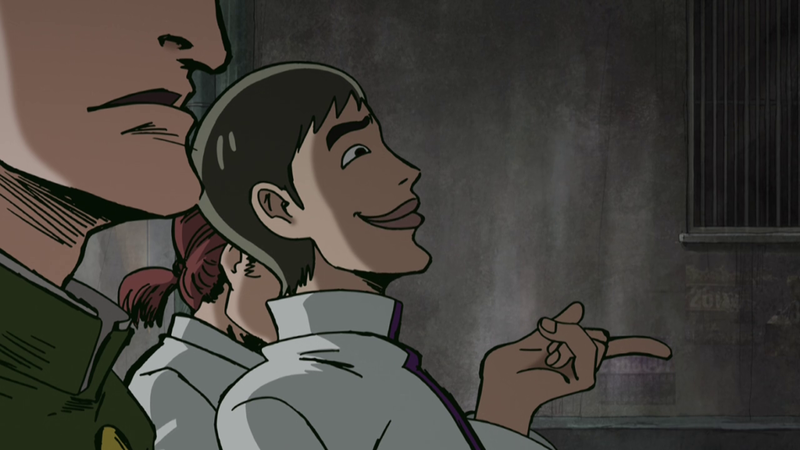 He supervised the fight near the end of the episode, which makes me curious about the key animators involved. 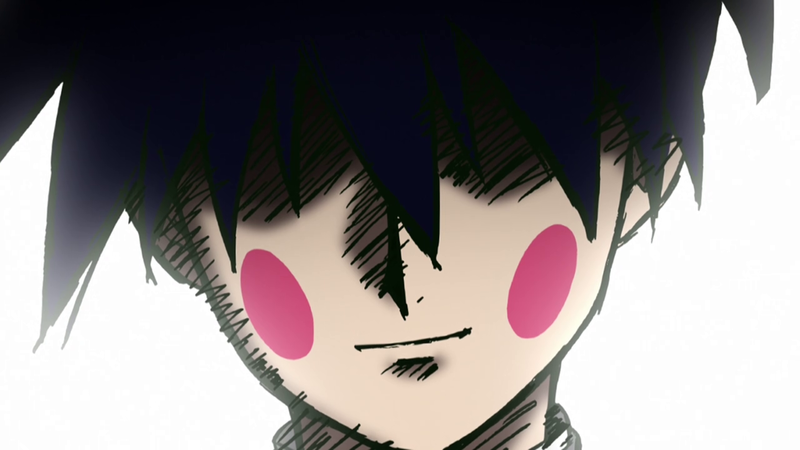 Since we’ve already moved onto the second half of the show, I’d like to say something: Mob Psycho 100 is certainly not the series I expected it to be. Coming from the creator of One Punch Man, I didn’t think it would focus so much on its cast and their – inherently adolescent, but relatable to a wider audience nonetheless – existential issues. Not having an action spectacle every week doesn’t hurt but rather makes its arrival all the more satisfying. It’s not there just because flashy action is cool, it’s part of what moves the characters forward. 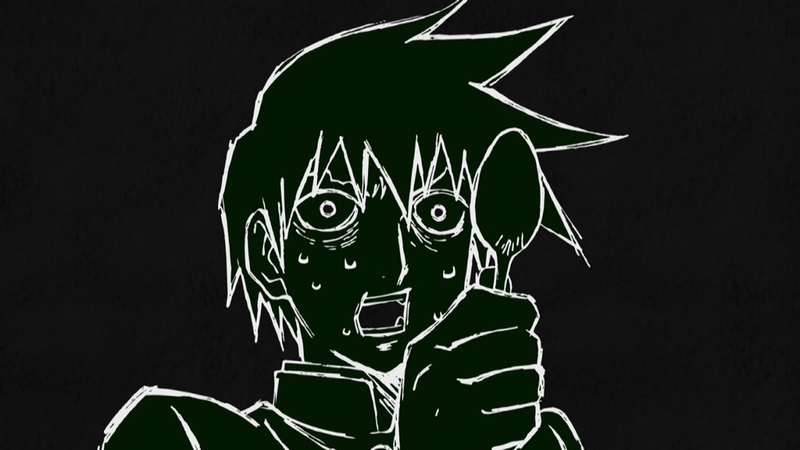 And as the resolution to Mob and Teru’s confrontation showed, violence isn’t its only source of catharsis either. 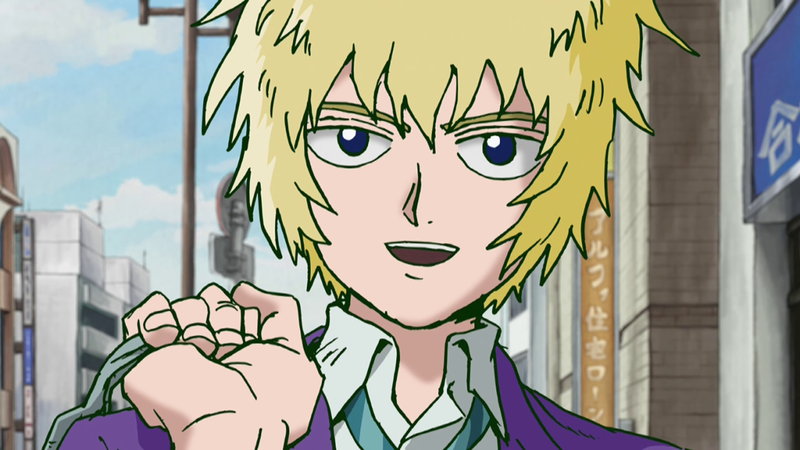 Right now, I’m not afraid to say Mob Psycho is a way better show than One Punch Man, both visually and narratively – if such a distinction even makes sense. 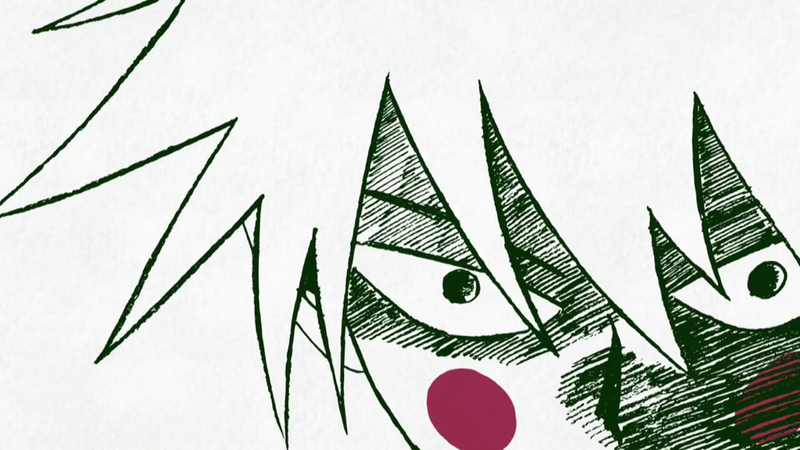 And next week, Yoshimichi Kameda returns as the animation director. The hype is off the charts so stay tuned!